Apple has partnered with (RED) for nearly 12 years to sell a variety of red-colored devices and accessories. For each product sold, Apple makes an unspecified contribution to The Global Fund, raising over $160 million to date. Apple introduced a (PRODUCT)RED edition iPhone 7 and iPhone 7 Plus in March 2017. 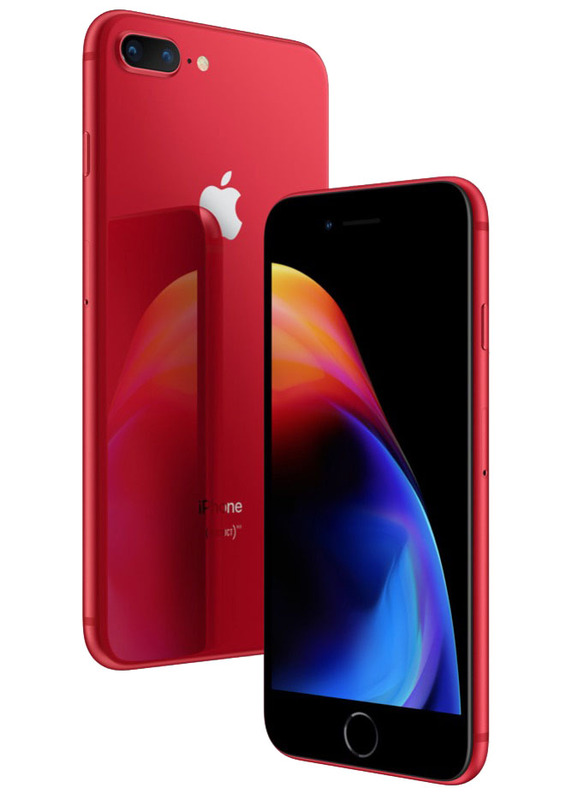 The special color was discontinued alongside the launch of the iPhone 8, iPhone 8 Plus, and iPhone X in September 2017. Finally, red with black! Like U2 iPod! Woohoo black front glass, this iPhone is super classy. Well, that should make a lot of people on here happy - black bezels! Personally preferred the white/red combo they used for the iPhone 7, but each to their own. This ALMOST makes me want to leave my X and go with the 8 Plus in Red. I think these phones look great. I don't understand why Apple would make someone wait 7 months after the new model comes out to get a red version. I feel like a lot of people would be happy to support the cause and buy red models if they were available at the same time as the new release. I know I would. Yay! We finally got it!!!!!! About time they give us a black/red iPhone! Like I said last year: Red and Black looks so much better. So no new colors for the iPhone X? Guess they don’t care about it as much. And where is AirPower? For Apple, ProductRed = ProductDead. It's a cheap way to excite customers about a product well into its sales cycle and pluck new sales. In other words, Apple doesn't need or want to use it's entire cache at launch so it holds this one out for when sales get sluggish. Nothing any company does is for consumer's convenience. It's to bolster its bottom line.